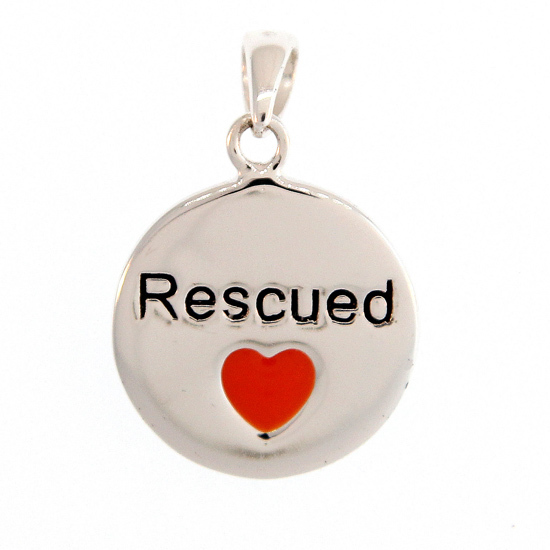 Sterling Silver "Rescued" charm from Heart U Back. Heart U Back has promised a minimum donation of $125,000 to the ASPCA. 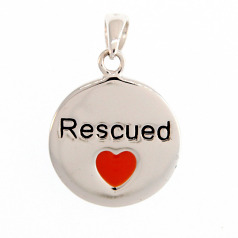 2-6% of the purchase price of this item will benefit sheltered animals.